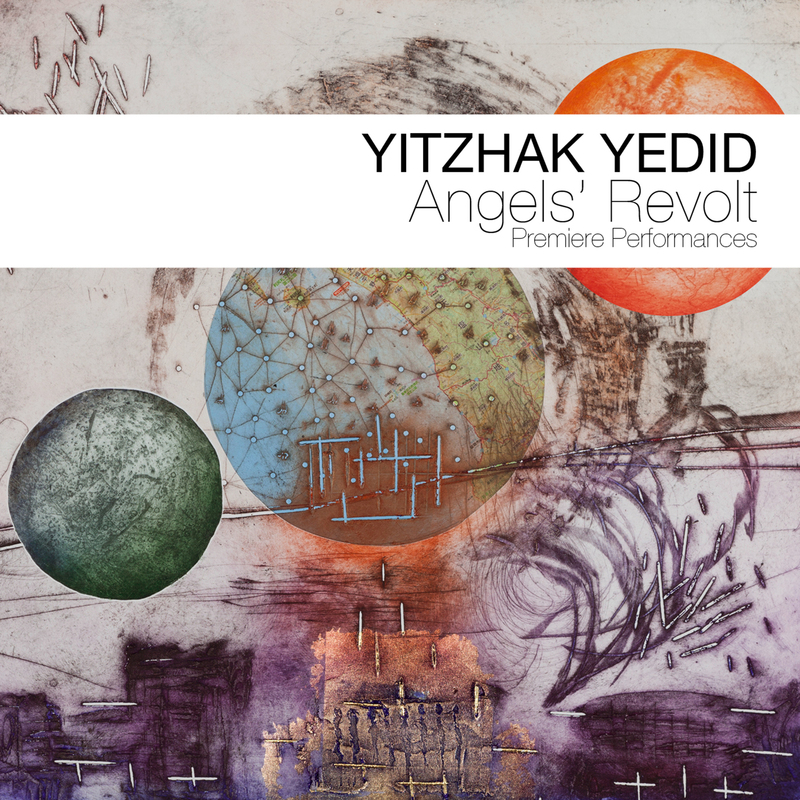 To understand Yitzhak Yedid better, you have to know his biography. Born in Jerusalem in 1971 as a child of Syrian-Jewish immigrants, the multi-talented and inquisitive pianist and composer went to the United States where he studied under Ran Blake and Paul Bley before returning to Jerusalem. “I can simply draw on my most important inspirations in this way,” the 47-year-old explained his frequent changes of abode. He has lived in Brisbane, Australia, for more than a decade, but is in the multi-cultural, multi-religious city several times a year as previously. A balancing act that promotes creativity. 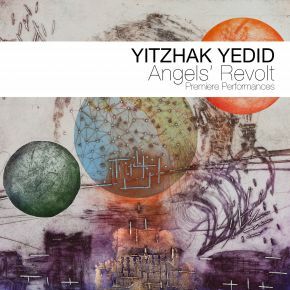 Not the least because the album “Angelʼs Revolt”, exclusively recorded live, denotes the most radical, uncompromising wraparound between Orient and Occident in Yedid’s discography. The composer uses traditional Arabic harmony, Jewish ritual song forms, a touch of free jazz, European classical music and improvisation, makes them collide directly, but interlocks them from one second to the other in such an organic way that a new style is germinated. It is basically a matter of pictures, moods, abbreviations, stories, messages, and statements: highly complex, politically explosive, up-to-date, completely designed for a powerful effect of music. And it is above all about the first moment, the moment when sounds see the light of the public: a magical, irretrievable moment. The Temple Mount of Jerusalem, which is holy for both Muslims and Jews and therefore a highly explosive place, served as inspiration for the orchestral piece “Kiddushim Ve'Killulim” (which more or less means "blessing and curse"). Together with conductor Christian Lindberg and the Israel Netanya Kibbutz Orchestra, it premiered in the Tel Aviv Museum of Art in November 2017. Yitzhak Yedid succeeded in bridging the traditions of the controversial poles with a daring, but sometimes quite unsettling bridge, in which the sound colors of Béla Bartók served as an amalgam that was incredibly resilient. Yedid composed “Chat Gadya” for clarinet, violin, cello and piano. The recording of July 2017 at Dunwich Hall in Australia on the occasion of the 10th anniversary of the Stradbroke Island Chamber Music Festival focused not only on violinist Rachel Smith, who asked him to give the original children's song an up-to-date version. The extremes collide relatively unchecked there too: the songlike Jewish philosophy as well as the modal Arab system Maqamat, enriched in short motifs in 11/8 or 12/8 cycles, everything left to the improvisational moment. The “Concerto For Piano And Strings” is composed of three parts, dedicated by Yitzhak Yedid to Australian composer Michael Kieran Harvey, and highlights more radically than ever the affinity of the multicultural composer for contemporary classics, for composers such as Sofia Asgatowna Gubaidulina or Alfred Schnittke as well as avant-garde and baroque harmonies. It was recorded in the Queensland Conservatory of Griffith University as was the title song of Angel's Revolt. Finally, the “Aufstand der Engel” (trans: “Rebellion of Angels”) puts Rachael Shipard in scene on solo piano. The composition, which Yedid composed for the prestigious Lev Vlassenko Piano Competition, covers almost his entire musical range. A chaconne (dance) with rhythmic, Messian-like patterns, tremolos and patterns, which reveal the appeal to the Arabic chopping board Santur, lyrically, passionately and in large parts freely improvised. “It's always an exciting and indescribable moment for me to present a piece of music to an audience for the first time,” Yitzhak Yedid explained his premiere fever. “This creates tremendous electrical energy that transforms itself into new creativity.” With "Angel's Revolt”, the composer created a number of these incomparable moments. It is a portrait by an ingenious artist, who prefers to tell his stories in notes.